This article is 73 days old. 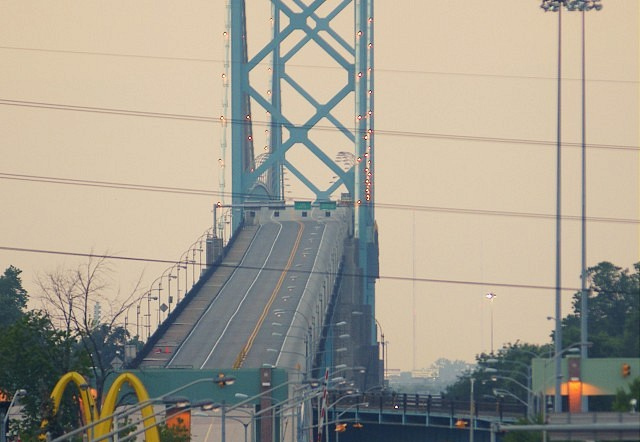 It will be cheaper to cross the Ambassador Bridge soon. Starting February 19th, the bridge is reducing the commuter toll to $2.60(U.S.), down from $4 and $4.60 (U.S.) for both directions. “The commuters have endured the closing of the Detroit-Windsor Tunnel, the closing of I-75, the shortage of both U.S. Customs (CBP) and Canada Customs (CBSA) staff and lane closures on the bridge itself for too long without any real or even perceived relief,” Ambassador Bridge President Dan Stamper said. Current commuter card holders will also be automatically enrolled in the Ambassador Bridge Premier Commuter Card Program. This program allows commuters to prepay their tolls electronically, clear customs in the most expedited way, and reduce the resource requirements for both U.S. and Canada customs along with bridge facilities. The bridge will also open a third commuter lane from Windsor to Detroit every weekday morning from 6:30am to 8:30am and a third lane from Detroit to Windsor from 4pm to 6pm.